When we are just a couple of days far from the new iPhone 5SE launch (as expected) there are many rumors going around for the new flagship from Apple “iPhone 7”. 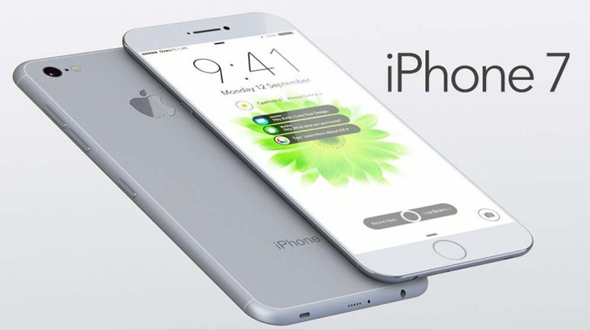 We heard many rumors about the new iPhone 7, from the dual camera possibilities to wireless charging capabilities. As we all know till now iPhone 7 is the name of next flagship from Apple but not the next iPhone, as the smaller version of the iPhone is going to be launched with the Name of iPhone 5SE. In this article we will try to find out about the five things we know about the Apple new flagship till date. No wonder why we are saying this, as from the launch of iPhone 5 and onwards Apple always hosted an event in the September to launch the new flagship. This year a new iPhone with smaller screen will be launched in March. If the trend of last year is being carried out then iPhone7 will have iOS 10 (Currently we are running iOS9), Last year iPhone 6 was launched with iOS9 the latest version of iOS family. There are no drastic change expected in iOS 10, but will see small tweaks to make the user experience more friendly. Some reports suggests that iPhone 7 will be thinnest device Apple has ever made, and that involves ditching the bulky 3.5mm headphone jack. According to leaked memo from Apple Insider, the current headphone jack may be replaced by a second speaker, giving the iPhone 7 Stereo audio. This step will help Apple to make iPhone sleeker. If the rumors are to be believed, then be ready to get rid of wires for charging your new iPhone. Apple is apparently testing a prototype with wireless charging. This rumors have come from Weibo. In order to make the iPhone 7 more sleeker, we might not see the headphone jack this time in iPhone. This time iPhone headphone jack will be replaced by a second speaker, giving the iPhone 7 Stereo audio. So hope for the best from the Apple to change the technology world, the way it use to do couple of years back.